Angel was found roaming the busy streets by a shelter worker. Shortly after being picked up, Angel gave birth to 6 puppies in the back seat of the car. Unfortunately, one of the puppies was born in very poor condition, and passed shortly after. Angel and her 5 puppies were being kept with their rescuer, and were luckily put in the Fresno Bully Rescue system. A day later, we went and picked the family of six! 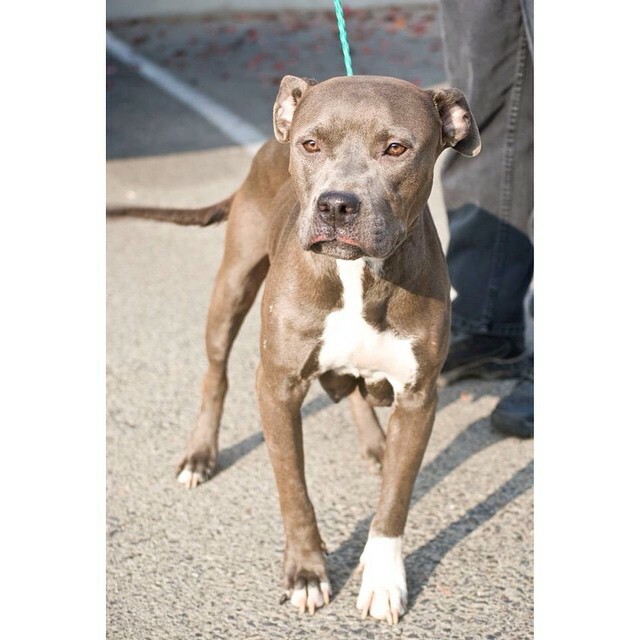 When we first met Angel, she was shy and mainly concerned about her pups. Her body language was skiddish and unsure, and her portruding bones painted the picture of her unfortunate past. That was then, but this is now. Angel has shown the entire household just how resilient and courageous she really is. She's been rapidly gaining her weight back and getting closer to being the healthy dog she's meant to be! She had already met our pack of 4, including our 1 foster (so 5 total), and was truly a sweet and accepting dog- despite all she's been through. She will be available for adoption through Fresno Bully Rescue once she is healthy and ready! These 5 survivors are still getting the feel of their personalities, and it has been such a joy watching their discoveries! They will all be available for adoption through Fresno Bully Rescue when they are old enough & ready. 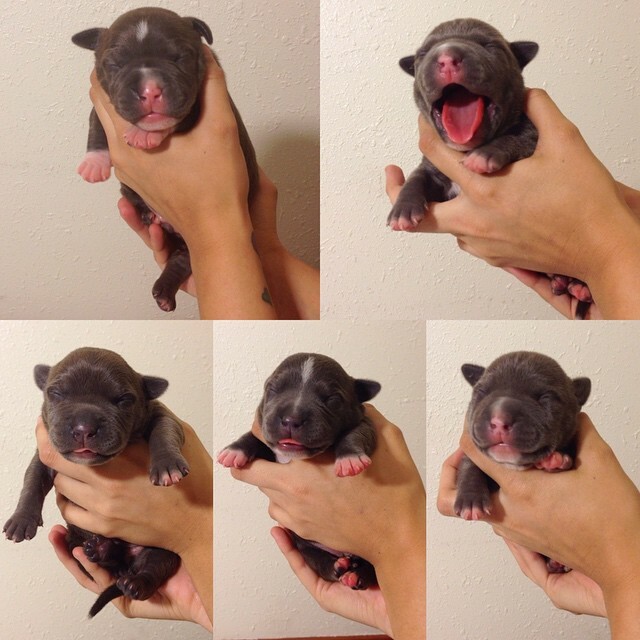 Fun Fact: This entire litter + their mama were named after dogs that have personally inspired us. Angel's name was inspired by the amazing girl that inspired her owner, Rebecca Corry, to organize the monumental ONE MILLION PIBBLE MARCH on Washington D.C. Follow the original Angel here. Wally is named after a senior beagle who was rescued by a friend and member of the Priceless Pet Rescue out of Chino Hills, CA. He was dumped at a kill shelter, presumably because of his old age and ailments, but was adopted by his "foster fail" father, John. Wally, the pup, earned his title by being the loudest of his litter, as he seems to demand the most attention. If you know of Wally the Senior Beagle, then you know all about his signature howl! Follow the original Wally here. 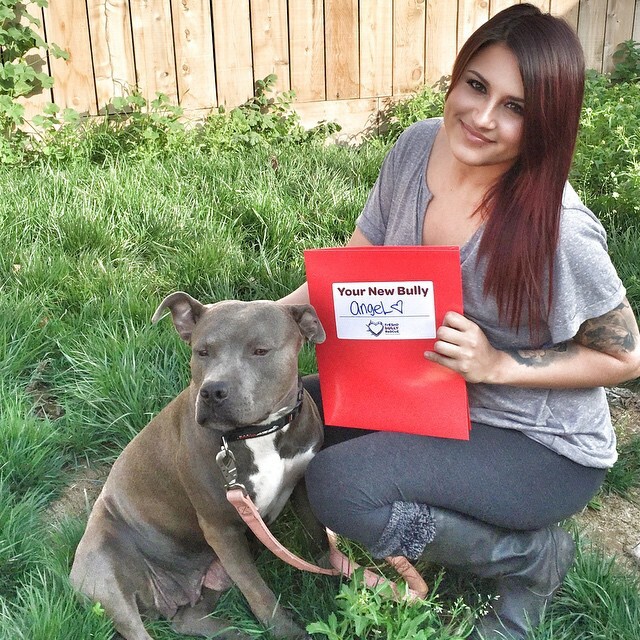 Nana's name was inspired by Nana the Earless Pibble, who suffered through years of abuse, neglect, and overbreeding. Her ears were cropped so badly that they had to be removed entirely. She is the epitome of sweet, and Nana the Pup has embodied this very essence since birth it seems. Follow the original Nana here. Paddington was named by the Fresno Bully Rescue foster coordinator, but we know of a wonderful Australian sharpei who makes us smile daily with his adorable videos and photos-- so the name is perfect either way! Follow the other Paddington here. Ada's name was influenced by a senior boxer all the way in Spain who was rescued by a wonderful family, and proves to us that senior girls can still have a good time and make a wonderful companion! Follow the original Ada here. Marnie was named after the most adorable rescued shih-tzu on the internet-- Marnie the Dog. Marnie the dog was rescued from the streets completely matted, stinky, and unrecognizable. Now she struts her stuff around town being a (silent) voice for adoption and rescuing! Follow the original Marnie here. 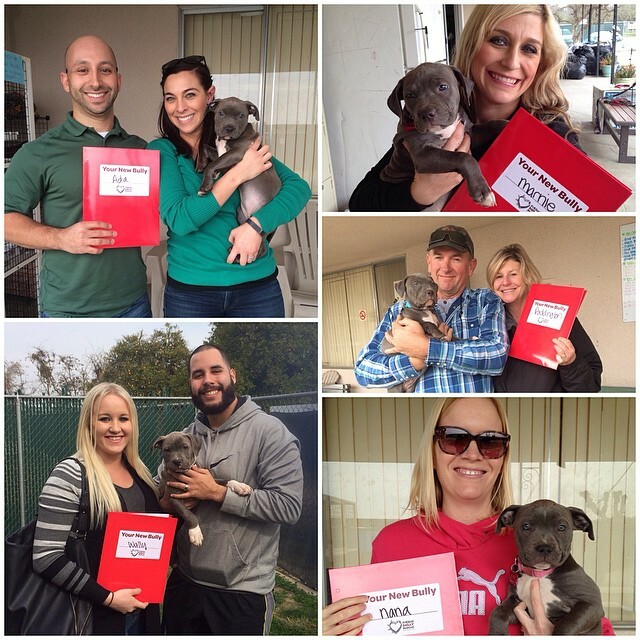 All 5 of Angel's babies have been adopted into their fur-ever homes! Angel chose her fur-ever home the moment she stepped in our house, we just hadn't known it yet. When it came time to actually picturing Angel leaving us, we just knew we couldn't let that happen. We fell head over heals in love with her, and she formed such a beautiful bond with our pack, we realized that she had been home the entire time. Angel and her new fur-ever mommy, our co-owner, pictured. Continue following Angel's life on Instagram here.